Just a few steps behind Mexico City's Metropolitan Cathedral, you will be able to find the Gallery of Art of the Ministry of Finance, within a very well preserved building from the 19th century. The lobby of this venue constantly features different exhibits of contemporary art of Mexican and international young plastic artists, mainly of the most talented ones who already gained global recognition. 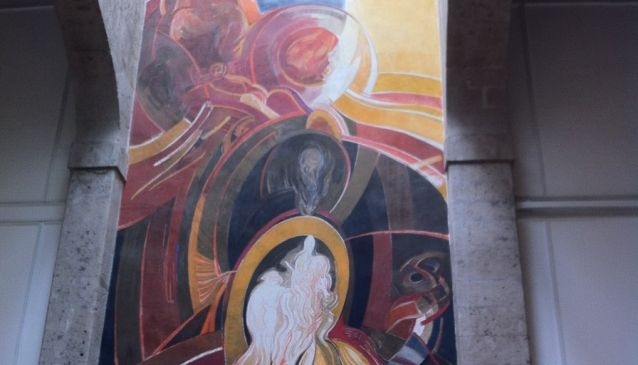 In addition, you can see two impressive murals of the Catalan artist Benito Messeguer, who resided in Mexico in the second half of the 20th Century. It is worth seeing his mural on his modern vision of Cervantes' Quixote, which will leave you speechless for its size and beauty!